Renowned for delivering powerful Ambient Media solutions which create the WOW factor. We make brands stand out from the crowd, there's little or nothing we can't deliver. The greatest strength of our ambient media campaigns is the ability to deliver challenging but relevant experiences that promote audience engagement. Your landscape is our blank canvas; we utilise surrounding environments to communicate brand messages – with a bang. 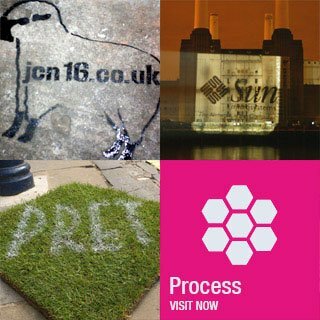 Be it moss logos, nano-graffiti or smoke projections...we have it covered.